Dental clinic Kvalident offers high-quality services in all dimensions of dentistry. The team of qualified specialists will perform a thorough examination, prepare an individual plan of treatment for you and perform all necessary treatment. We will be glad to help you to get rid of the fear of dental treatment in the pleasant environment of our clinic. Sensible and individual approach of our specialists as well as effective local anaesthetics of the last generation will, no doubt, enable it. In cooperation with a profession team of anaesthesiologists, we perform treatment under intra-venous and full sedation. These types of sedation are primarily recommended for patients with strong uncontrolled fear, patients with special needs or children who refuse to cooperate during treatment. 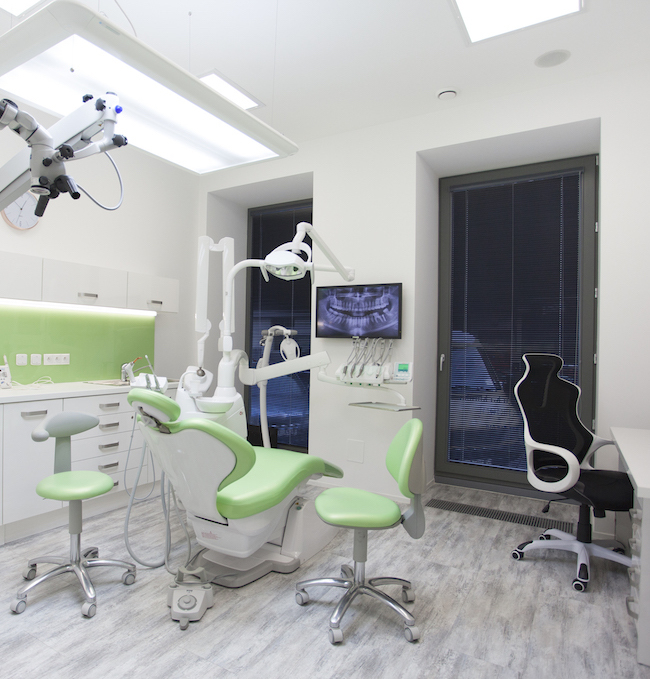 All dental rooms are equipped with the top-ranking dental microscope Zeiss, which enables to perform all procedures with the highest possible precision. Microscopic dentistry is a standard in our clinic. Microscope is used for caries treatment, root canal treatment, prosthetics and others without any additional fee charged. Technologies and materials used in our clinic meet the highest requirements for quality of dental treatment. For that reason, we do not cooperate with insurance companies, as a matter of principle, do not perform amalgam fillings or single cone method of canal obturation, etc. Unfortunately, an obsolete list of procedures and material covered by insurance companies do not enable to achieve long-term satisfying results. These solutions can be evaluated as only temporal or in some cases even harmful.